Do you have a question about Microchip or a product they sell? Ask Mike. He has 16 years of experience with Microchip products including MCU, Memory & Analog. He also has significant knowledge of lighting, safety & security and vending industries. Microchip presents a one-day seminar designed to provide the tools and knowledge needed to control design cost. Sessions are packed with practical information and advice on how to reduce your development time, re-use your software and tools, and migrate your design up or down as requirements change. The Farnell Digital Power Supply Bundle is comprised of Microchip’s Buck/Boost Converter PICtail Plus Daughter Board AC164133 , Microchip’s 28 Pin Starter Kit DM300027 and two samples of dsPIC33FJ16GS502-I/SP. 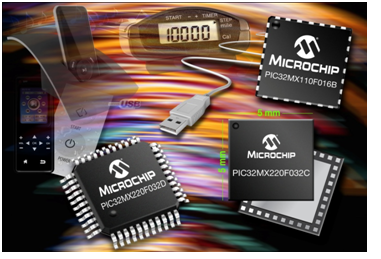 Microchip’s new PIC32 “MX1” and “MX2” MCUs are the smallest and lowest-cost PIC32 microcontrollers, and are the first PIC32s to feature dedicated audio and capacitive-sensing peripherals. These new MCUs include a host of additional useful features that make them suitable for applications in the consumer, industrial, medical and automotive markets. Are you a low power hero?